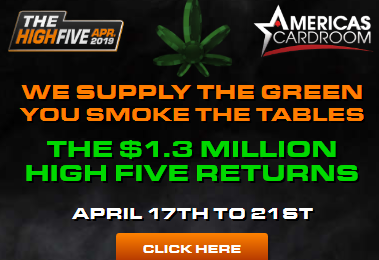 17,800 players will win Cash or free entries into a week 2 contest. 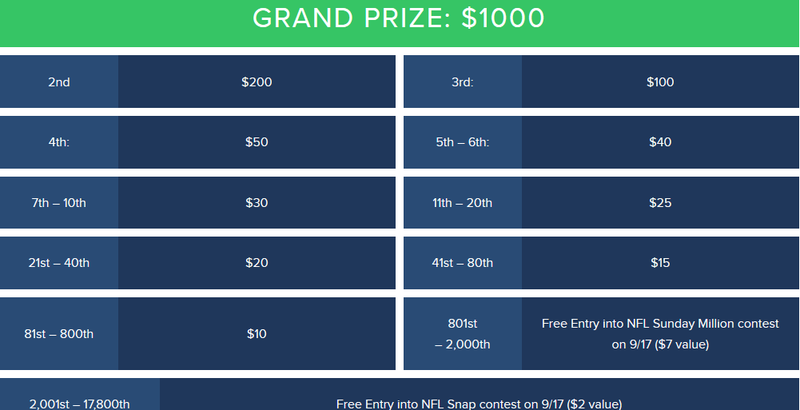 Minimum prize is a $2 entry into a $100K GTD fantasy football contest on week 2. This contest starts at 1PM ET on Sunday Sept. 10th. If you don’t finish in the top 17800 places on week one, you still win. You will be entered into a NFL Week 2 $10,000 Second Chance Free Play. Anyone that doesn’t score a prize in the $50,000 NFL Kickoff Free Play will automatically get entry into the $10,000 Second Chance Free Play on 9/17. Fan Duel will also give you more, make any size deposit when you first sign up on Fan Duel and you’ll get a free entry into the NFL Sunday Million. Sign up today for your free plays and start your road to making 2017 a winning Fantasy Season on Fan Duel……..
« Win Billion Dollars on DraftKings TV Ad?